“The failure to appear was neither intention nor meant to disrespect this Honorable Court but was solely because she was indisposed. 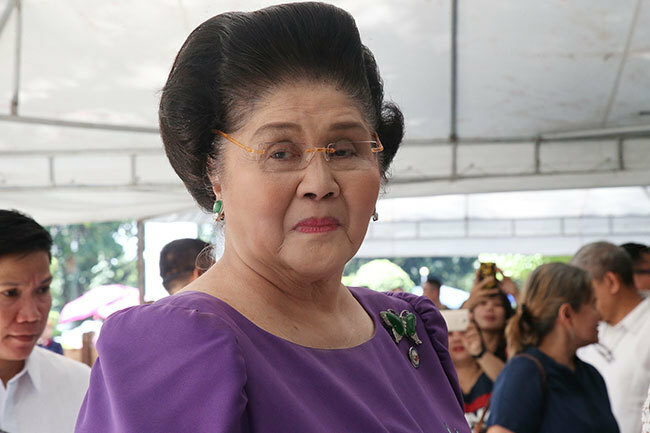 On the said date and even before, the Accused was suffering from multiple organ infirmities and was under strict orders from her physician to refrain from stressful conditions that will put her at risk for heart and brain attack and recurrence of seizure,” Marcos’ camp said in a motion filed on Monday but released to media on Thursday. “Considering that the absence of the Accused was due to a justifiable reason, she respectfully prays of this Honorable Court that her standing be restored and that she be given leave to avail of the remedies provided under the Rules of Criminal Procedure against her judgment of conviction,” it said. On the same day of the promulgation, however, Marcos was reported to have attended a party hosted by her daughter Imee who, in a video clip, introduced her as the “unsinkable” Imelda.